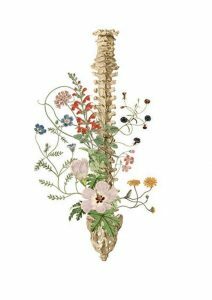 Join Pamela Everett for a special morning devoted to the wonders of the spine. She will guide you through its amazing architecture and then help you explore your own spinal anatomy and energy through gentle and then more active yoga postures, along with some Qigong movement. The entire practice will incorporate the five movements of your body’s magnificent axis, and help you give kind attention to those movements into your daily life. The workshop winds down with restorative postures and meditation to further nourish this part of the body that does so much for us day after day. 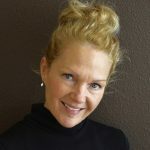 Pamela Everett has been practicing yoga for nearly twenty years, and she’s been sharing its gifts as a certified instructor since 2016. Inspired by multiple yogic traditions and teachers, her classes are a multi-faceted experience of asanas and meditation, with special attention to one’s body through the wonder of anatomy and the mechanics of movement and breath. Delivered with detailed, gentle instruction, insight and humor, her classes are suited and welcoming to students of all levels.